HOWARD-BURLEIGH, Florence S. (Florence Susannah), 1888-1967? : LOVE DECIDES. London : Fiction House, . Second edition. Amateur theatricals in Cranley – Claude and Heather need to talk. 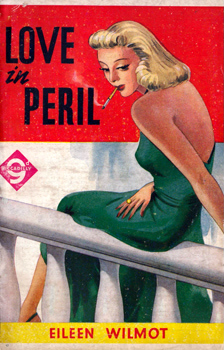 Originally published in 1938. Crown 8vo (18cm). 128pp. Original pictorial stapled wrappers; a little worn, chipped and creased; title-page with short tear; text lightly tanned, but a good copy. 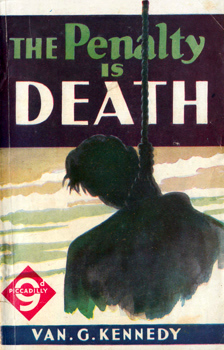 KENNEDY, Van G. : THE PENALTY IS DEATH! London : Fiction House, . First edition. James Cracknell awaits his landlady’s supper by the fire – “What would Sylvia think of him, were she aware of his real profession? Locally regarded as ‘something-in-the-City’ what would be her reaction did she know his alias, Jimmy Crackles, which was known only to a necessary, exclusive few? To the fact that the wherewithal for his rent emerged from his exploits as a master cracksman? That much of his work resulted in benovolence for the needy would, he thought, carry little conviction ...”. 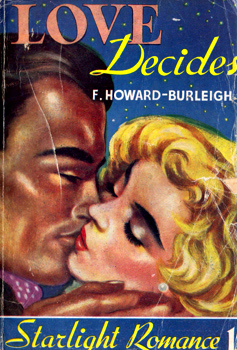 Piccadilly Novels No. 237. Foolscap 8vo (18cm). 96pp. Original pictorial stapled wrappers; some minor rubbing and wear; staples a little rusted, but overall a very good copy of a scarce and fragile title. Just a single copy (British Library) located in major libraries worldwide. LAWRENCE, Dorothy I. : SOLD IN ERROR. 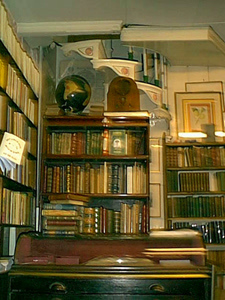 London : Fiction House, . First edition. A box of matches bought on the Tottenham Court Road contains an inexplicable and mysterious slip of paper – an address in Lambeth leads to a packet of heroin. Writer Ken Shotter and girlfriend Molly Payne investigate. Piccadilly Novels No. 248. Foolscap 8vo (18cm). 96pp. Original pictorial stapled wrappers; a couple of very slight creases; a sprinkling of faint spots; text slightly tanned, but still an extremely good copy. Just a single copy (British Library) located in major libraries worldwide. London : Fiction House, . First edition. A foggy night in a London park – “beastly murder” followed by “a second utterly heartless crime. From a quiet, uneventful life as companion to an eccentric aunt, Diana Barry finds herself precipitated into this turmoil”. Swift-moving adventure, moving to the Riviera. Piccadilly Novel No. 193. Crown 8vo (18cm). 96pp. 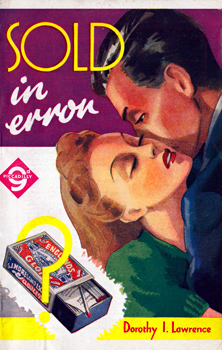 Original pictorial stapled wrappers – blonde, gloves, gun; a few faint marks and slight creases; staples a touch rusted, but overall a very good copy. Just a single copy (British Library) located in major libraries worldwide. WEBB, C. Packham (Thomas Charles Packham), 1908-1973 : SPECIAL ASSIGNMENT. London : Fiction House, . First edition. A lorry-load of eggs is hijacked on the road out of London – post-war shortages, rationing, and the crimes of the times. 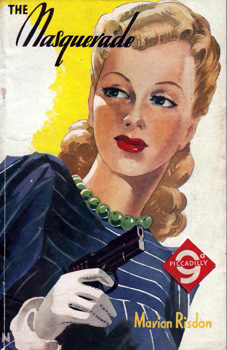 In the Piccadilly Novels series. Foolscap 8vo (18cm). 96pp. 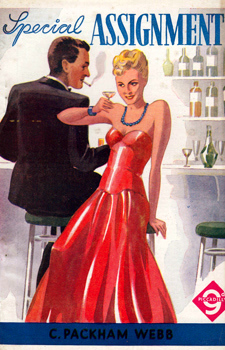 Original pictorial stapled wrappers; short tear to lower wrapper, but otherwise a very good copy. Just a single copy (British Library) located in major libraries worldwide. London : Fiction House, . First edition. “I was there when it all happened. Gradually, horror deepened and death and mystery surrounded me ... in our quiet community we saw murder as horrible and puzzling as anything written about in detective novels”. Piccadilly Novels No. 249. 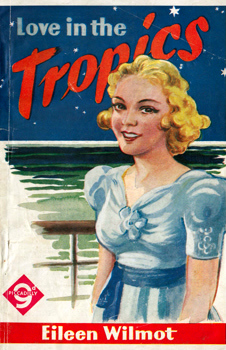 WILMOT, Eileen, 1904-1973 : LOVE IN THE TROPICS. London : Fiction House, . First edition. “Gillian Meredith lay in bed and stared at the faded wallpaper with a dull feeling that something was intensely wrong with the world ... No need to scramble over dressing and bolt a hasty and inadequate breakfast! She was out of work! It was not a pleasant prospect ...”. Piccadilly Novels No. 243. Foolscap 8vo (18cm). 96pp. Original pictorial stapled wrappers; a little rubbed and creased; staples rusted; text lightly tanned, but still overall a very good copy. Just a single copy (British Library) located in major libraries worldwide.